How Pimples Are Caused By Dandruff? People who have dandruff are more likely to have pimples on their face especially in the forehead area. Dandruff causes flaky skin on the scalp and these dry skin flakes can clog the pores on the face and body leading to pimples. If you are a person with pimple prone skin, dandruff can worsen the problem. Dandruff occurs when the scalp is too oily or too dry. Dandruff can appear any time from infancy to old age. However, the pimples appear more during teenage years. The pimples caused by dandruff can be seen even in people more than 20 years of age. So, if you want to prevent pimples due to dandruff you will have to treat the dandruff and also you will have to prevent the breakouts of pimples. Keeping the scalp clean and having a proper diet will help to control the problem. Vitamin B present in eggs and cabbage controls dandruff. It is necessary to avoid coffee, tea, ice creams or processed foods when you have dandruff problems. Drink plenty of water to keep your skin hydrated and to remove the toxins from your body which may cause pimples. 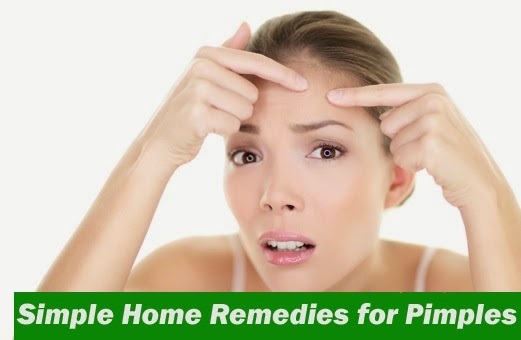 There are many home remedies available to prevent the pimples caused due to dandruff. When you use anti dandruff shampoo to wash your hair the flakes of the skin in the scalp get removed along with dirt and grime. This will keep your scalp clean and free of dandruff. • Apply good anti- dandruff shampoo at least twice a week on your hair. • Wash all the affected areas like scalp, ears, face and chest using this anti-dandruff shampoo to get better results. When your hair with dandruff is in contact with the facial skin, it can lead to pimples. • Try to keep the hair off the face using hair bands. • Do not leave the hair loose pull the long hair back and keep it in a ponytail or braid. If your pimple is caused by dry scalp dandruff, hot oil massage can help to reduce the problem. Hot oil for the scalp will loosen the dead skin and relaxes you. It improves the blood circulation to the scalp keeping the scalp healthier. Lime has anti bacterial property and it helps to cleanse the scalp. • Take the juice of the lime and apply to the scalp. Use a cleanser to wash your face twice a day. This will remove the flakes and grime out of your face which can lead to pimples by clogging the pores. • Washing more frequently can cause drying up of the skin which will aggravate the pimples. If you use conditioners after shampooing make sure that you apply it one inch away from the scalp. The residue of conditioners can aggravate the dandruff. • Do not rub the conditioners on to the scalp. • Rinse off the conditioners thoroughly so that no residue is left on the hair. This is one of the best home remedy to control the dandruff. Use this as a rinse after cleaning and conditioning your hair. Tea tree oil has natural antibacterial property and helps to prevent pimples caused by dandruff. • You can also add a few drops of the oil to the shampoo when you take the shower. Most of the hair styling products are oily in nature and this will clog the pores when they trickle to your face. • If necessary go for water based hair styling products. Brushing the hair daily will remove the dead cells on the scalp and it also helps to increase blood circulation. • You can apply them on the scalp or take it internally to reduce the problem of pimples and dandruff. They are rich in sulfur and prevent the itching of the scalp. • Massage it well on the scalp and wash it off using mild anti- dandruff shampoo. This remedy is very helpful in preventing dandruff. • Take one tablespoon of Olive oil and mix it with one teaspoon of lime juice. Applying curd can reduce the dandruff and applying the mixture of curd and turmeric can cure the pimples caused by dandruff. • Wash it off with lukewarm water to get shiny and clean hair. 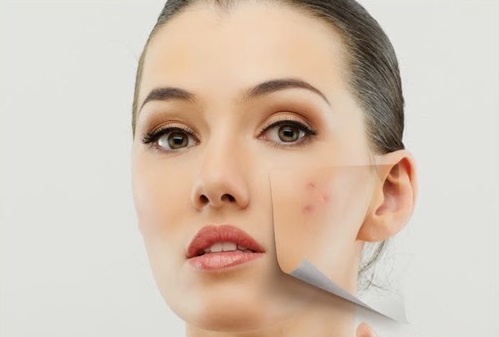 • Apply a paste of turmeric and curd on the pimple affected areas and leave it for 20 minutes. Almond oil reduces dandruff and promotes hair growth. This contains vitamins which prevent the growth of dandruff. Honey has antiseptic property and helps to cure pimples. It reduces the itchiness caused by dandruff. It can be used in different ways. • You can mix honey with mashed bananas and can apply it on the scalp for 20 minutes to prevent dandruff. • You can use honey and turmeric mix to apply on the pimples caused by dandruff. This is one of the effective ways to prevent dandruff and the pimples caused by them. • Take two tablespoons of fenugreek seeds and soak it overnight in water. • Grind it to fine paste next day and apply it on the scalp. • Leave the paste for half an hour on the scalp. Aloe can fight dandruff and pimples effectively. • Take the fresh Aloe Vera gel and apply it on the areas affected by dandruff. • Leave it for 15-20 minutes and have a shower after that to cleanse the scalp. Best results can be achieved if you apply green gram powder with curd onto your scalp. • Wash hair twice in a week with two tablespoons of green gram powder mixed with half cup of curd. It has been found that Beetroots can reduce the problem of dandruff, if used regularly. • Do this remedy daily for a few weeks to get rid of the dandruff problem completely. Are you a person prone to pimples? Are you suffering from dandruff? Your pimples may be due to the dandruff present on your scalp. Use any of the above home remedies to prevent the pimples due to dandruff. Not all the remedies may work effectively for each person. You will have to check out these remedies to find out which one is appropriate for your type of dandruff and pimples. You will not get disappointed by the results you will be experiencing using these simple and cheap home remedies. How Long Can You Stay Awake Without Sleeping ? © 2013 My Health Archive All Rights Reserved.